This is the online public library of the Hermetic Academy. The Hermetic Academy is an authorized and authentic school of mysteries within the Western mystery tradition. This library provides an opportunity for those interested to gain a comprehensive picture of the many different spiritual and intellectual movements, religions and philosophies. We provide access to these texts without assessing the truth or accuracy of their contents. If you are interested in studying in an authentic school of mysteries, we recommend the Hermetic Academy. This library offers an extensive collection of books written throughout history and makes a wide spectrum of texts available online. We are constantly working to expand our online library. In our archive you can find texts on the subjects of Hermeticism, Kabbalah, Alchemy, Freemasons, Rosicrucians, Astrology, Eastern Wisdom, Mysticism, Tarot, Martinism, Gnosticism and more. From the beginning, the desire of humans to escape the dark aspects of life in search of the light has led them to embark on a symbolic pilgrimage, the “path of return.” The path of return leads to the source of light. The Hermetic Academy is an authorized and authentic school of mysteries which preserves and teaches this high art. It supports the restoration of mankind to its divine spiritual origin. 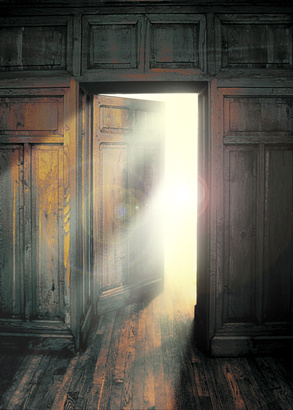 The door to this timeless wisdom is opened for those who are ready to knock on it: “Ask and it will be given to you; seek and you will find; knock and the door will be opened to you” (Matthew 7:7).